This design concept came to me at an odd time (as most "AH HAH!" moments do). On my walk through Home Goods - just for fun - I passed by the coffee section and gawked at all of the beautiful packaging. I'm positive i'm not the only one who buys things just because of how pretty the packaging is...and if you're thinking "I don't do that," well, you're lying. 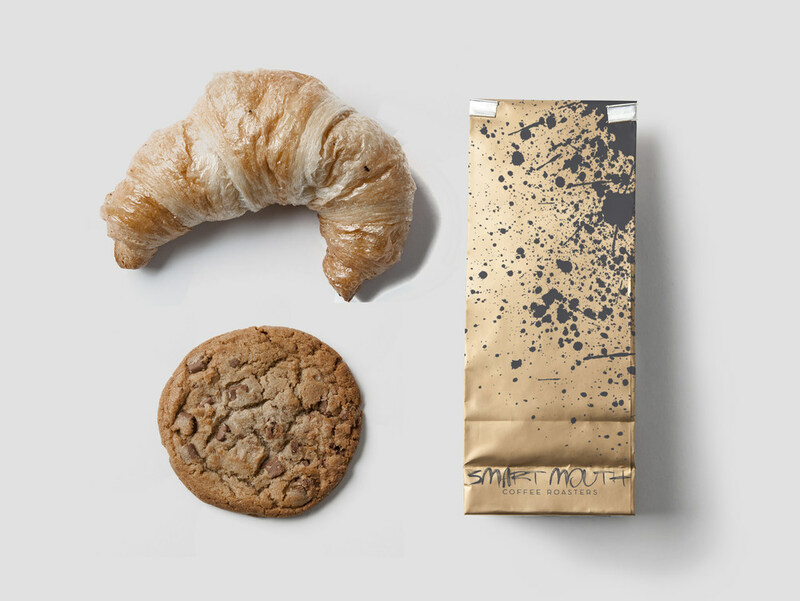 Pretty packaging is so attractive - especially when it is simply and elegantly executed. 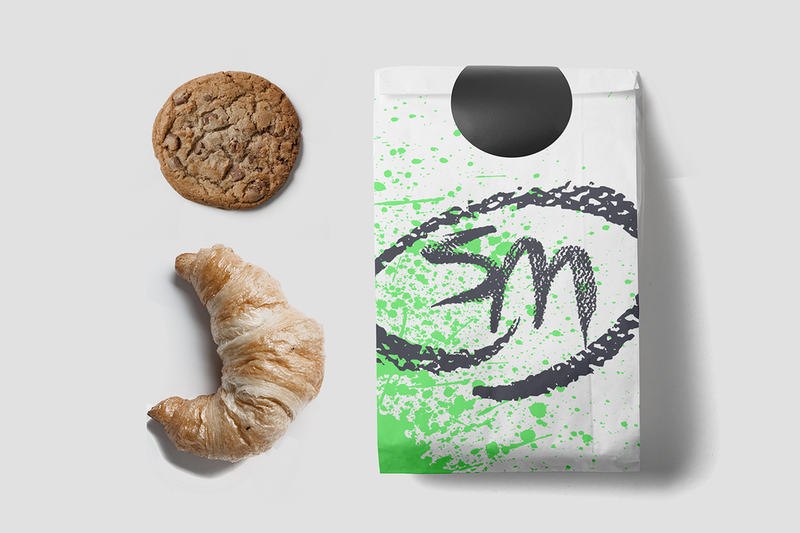 I find it especially intriguing when a company designs packing with just one or two simple words and colors, but yet it looks so modern and posh! What I wanted to achieve with this branding concept is a personality: blasé, pretentious, sarcastic, sassy, and cheeky yet sophisticated & edgy - ready to talk back. This is for the coffee connoseirs who aren't afraid to make an inappropriate joke. For the espresso feigns who won't hesitate to tell you how it is & give it to you straight. For the latte lovers who prefer an old fashioned over a vodka cranberry. If you can't relate to this personality, this charisma, if you will, that's okay. 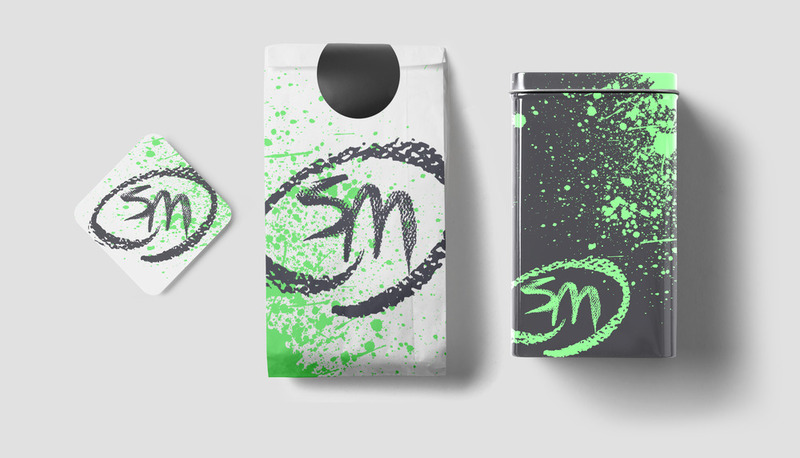 Don't let the dark cups and neon paint splatter scare you - Smart Mouth Coffee Roasters was designed for anyone who enjoys a well made cup of coffee - while this design encourages you to be your most audacious, undaunted self. Without apologies. Hygge happens when we commit to the pleasure of the present moment in its simplicity. It”s there in the small rituals and gestures we undertake to give everyday life value and meaning, that comfort us, make us feel at home, rooted and generous. We all hygge – around a table for ashared meal, beside a fire on a wet night, making coffee together at work, in the bath with a single candle, wrapped in blankets at the end of a day on the beach, sheltering from the rain at a bus stop, lying spoons, baking in a warm kitchen, alone in bed with a hot water bottle and a good book. In our overstretched, complex, modern lives, hygge is a resourceful, tangible way to find deeper connection to our families, our communities, our children, our homes and our earth. It’s an uncomplicated, practical method of weaving the stuff of spirit and heart into daily life without sentimentality then taking time to celebrate it on a human scale. Hygge is a kind of enchantment – a way of stirring the senses, the heart and the imagination, of acknowledging the sacred in the secular – a way of giving something ordinary a special context, spirit and warmth, taking time to make it extraordinary. Hygge is about appreciation. It’s about how we give and receive. Hygge is about being not having. 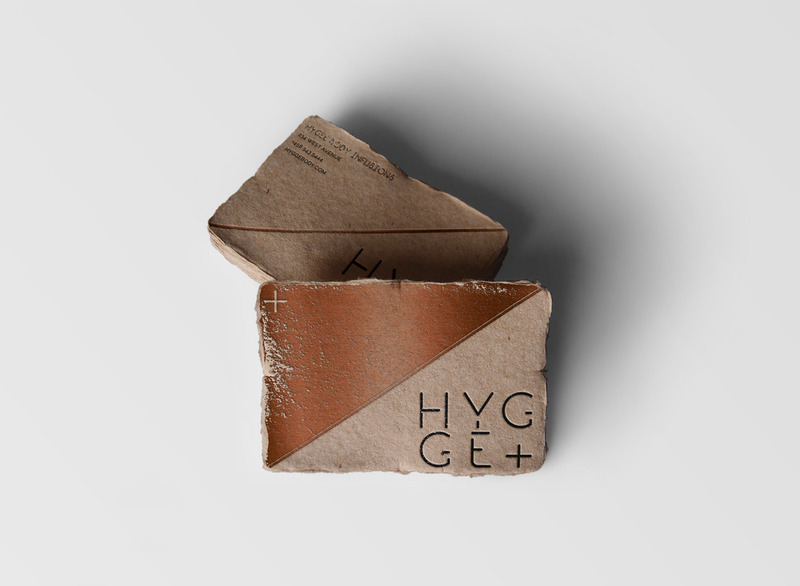 HYGGE Body Infusions is a brand/packaging concept for a hypothetical bath products brand. I got inspired by this word and its definition. At first I started with the idea of a HYGGE Cafe & Relaxation Sanctuary, but since i've never dabbled in cosmetics and beauty product design, I figured i'd give it a shot. I hope you enjoy the minimalist, logical, & elegant notes here in my design. Bath Time (Bubble Bath Soap), Wash Time (Hand Soap), and Down Time (Body Oil) are the three products I created.